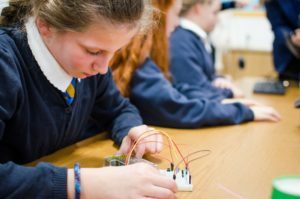 Microsoft’s support will be included as part of the recently announced funding round to help engage and inspire more young people through extracurricular digital technologies activities. When Microsoft was created in 1975, computer programming was a skill known to a select few. However, as the world increasingly becomes digital, more and more roles in all industries will require advanced digital skills such as computational thinking, coding, or data analysis. Even people who choose not to become actual developers or data scientists will need to understand concepts such as machine learning and internet of things, and how they can affect the rest of the organisation. As such, Microsoft recently launched a programme to teach advanced digital skills to people across the UK and help ensure the country remains a global leader in cloud computing, artificial intelligence, and other next-generation technologies. This includes Microsoft’s commitment to recruit an extra 30,000 digital apprentices for its network of 25,000 partners in the UK, including 6,000 new digital apprentices in Scotland. This is in addition to the 11,000 apprentices already recruited and smashes the target of 4,000 set in 2012. Microsoft has also made it a priority to ensure more women and minority groups are included and supported in these schemes. Microsoft realises the importance of engaging and inspiring young people with digital technologies from an early age, to sufficiently increase the future talent pool and give as many children as possible the skills they will need to succeed. The company is actively supporting early education through a variety of initiatives including recently selecting Bertha Park High School in Perth as one of one of 17 schools for the first cohort of Microsoft Flagship Schools – the only one based in the UK. Bertha Park High School will have the opportunity to use ground-breaking digital technology to help pupils learn and develop. Teachers will also be encouraged to collaborate with peers in other countries, including the US, Argentina, Germany, Australia and China, to share best practice. 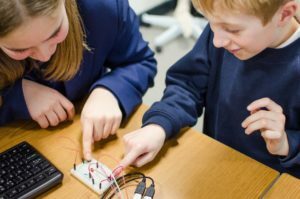 Digital Xtra Fund is a charity created to support and grow extracurricular digital technology initiatives across Scotland which give young people opportunity to learn advanced digital skills regardless of their gender, background, or where they live. 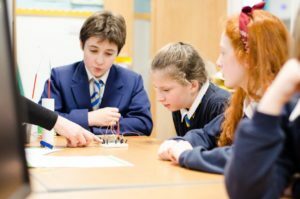 Backed by businesses, organisations, and individuals with a common will to help young people succeed in a digital world, the Fund provides grants for extracurricular activities that teach young people to understand and create with technology, not simply consume it, and also connects its Partners with supported initiatives to help connect young people with industry professionals. Most recently, Digital Xtra Fund announced a funding round with £75,000 available. Groups can apply for up to £5,000 for initiatives running in 2019 and applications close 1 November. Since its inception in 2016, the Fund has supported 33 initiatives helping introduce nearly 20,000 young people to the amazing career and life opportunities digital technology can provide.